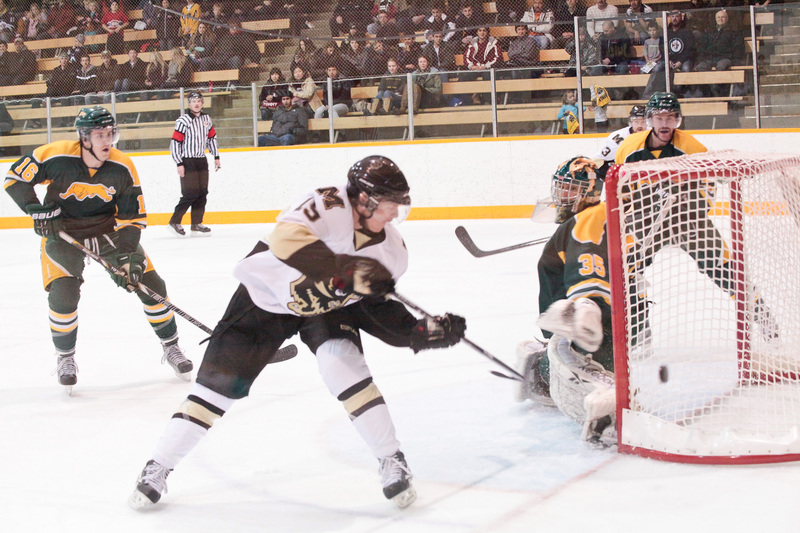 Heading into this weekend’s games, the Manitoba Bisons and Regina Cougars found themselves tied in the Canada West standings with 6-4-2 records, good for 14 points on the season. Both teams also had 32 goals for, but as the Bisons had allowed four fewer goals they owned the tiebreaker and sat in fourth place, while Regina sat fifth. With stats like that it seemed like this would be a pair of very close games and could easily go into overtime. That was not the case this weekend at Max Bell. 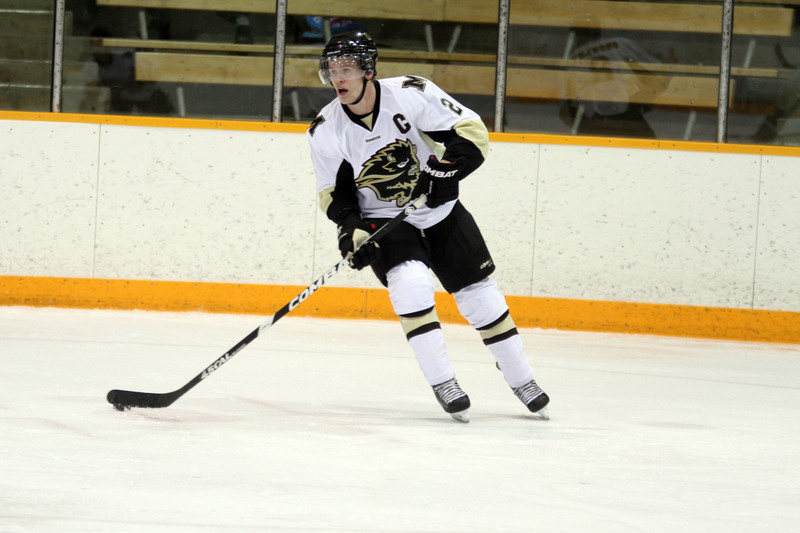 The Bisons came charging out of the gate on Friday night, taking the lead just 71 seconds into the game as James Henry tipped in a Brandon Lockerby point shot that put the home team up early. Two and a half minutes later, Luke Cain would net his fourth of the year as he rushed in and backhanded a shot passed Regina netminder Lucas Gore. Before the opening period was out the Bisons would make it 3-0, as fifth-year forward Tyler Dittmer would be sent in on a breakaway and snap one in off the crossbar for his fifth goal of the year. The Bisons struck early in the second period, as another Brandon Lockerby point shot was tipped in, this time off a Regina player, earning Lockerby his first goal of the year. Manitoba goalie Jesse Deckert was only forced to stop five shots in the period, but two of them were beauties. Early in the period, a redirection caught him going to wrong way, but he managed to extend his glove hand to make the save. Later in the period it was a two-on-one break that was denied by a sprawling Deckert, who displayed why he was named September/October 2012 Canada West men’s hockey Husky-WHL Graduate of the Month. On a scarier play, Regina forward Tyler Henry nearly impaled himself on his stick when he ran out of real estate behind the Bisons net. Luckily for him, the composite stick broke and he only left the game for a short time. The third period saw the Bisons grind line get in on the scoring act, as Dylan Kelly netted his second in as many games with his linemates Jesse Paradis and Paul Ciarelli getting assists. The trio would give the vaunted GST line of the Winnipeg Jets a run for their money on this night, as Regina could get nothing going when they were on the ice. The Regina power play was dreadful, as the best chances during their three opportunities with the man advantage went to the short-handed Bisons. Matthew Lowry would capitalize on one of these chances in the third, as he picked up a pass from goalie Jesse Eckert and sprang in on a breakaway and scored a short-handed goal. All that was left to see in this one was if Deckert would hold on for his first shutout of his Bisons career. A close call occurred with two minutes left as Carter Selinger broke in alone, but Deckert denied him and helped preserve the 6-0 final score. Game two on Saturday afternoon got off to a rocky start for the Bisons, as the Regina power-play broke free from its slumber and got the Cougars on the board just 1:05 into the game as Carter Selinger tucked one passed Deckert. Early on, it seemed as though the script might be reversed from the previous evening’s action. The Cougars nearly scored a shorthanded goal a short time later as Deckert came out to play the puck, only to have it bounce off his own defender and just narrowly missed scoring on the vacated net. The Bisons would tie up the score on a great play by Eric Mestery, who used all of his 6’5” frame to keep the puck in at the blue line and fed James Henry in the slot, who deked Regina goalie Andrew Hayes out of his jock and roofed it. The Bisons grabbed the lead before the period was out, as a bomb of a shot by Darren Bestland was tipped in by Brendan Rowinski. The floodgates opened in the second period, as Manitoba put up four goals, three coming on the power play. Blair Macaulay, James Henry, Travis Bobbee, and Jeremy Schappert would all get tallies on the second period score sheet. The third period saw the Bisons grab a 7-1 lead via Tyler Dittmer. Regina got a late one from Mark Schneider, but it was far too little too late. Jesse Deckert turned aside 41 of 43 shots on the weekend, improving his save percentage to 92.2 per cent on the year. James Henry had five points on the weekend to give him 10 on the year. 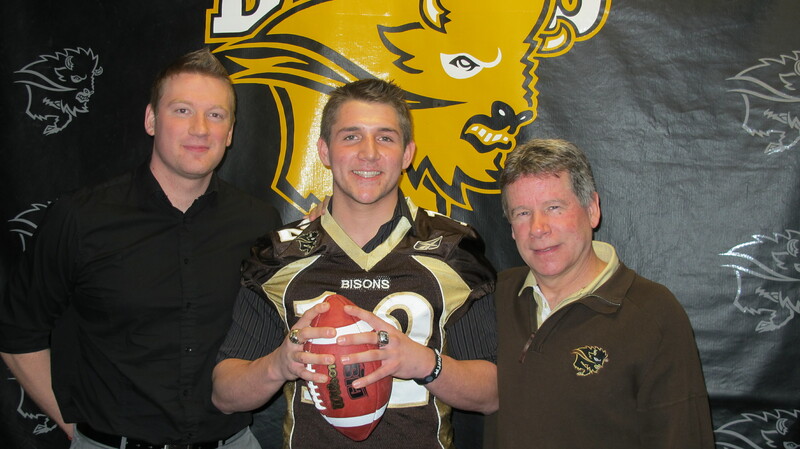 The Bisons play at home next weekend against Alberta, who are currently ranked first in the nation. The Golden Bears won the previous meetings this season by scores of 4-2 and 7-2.